Usually, floaty feminine styles aren't what I feel comfortable in but this floral blouse from AngelEye London is the perfect balance between feminine and edgy. 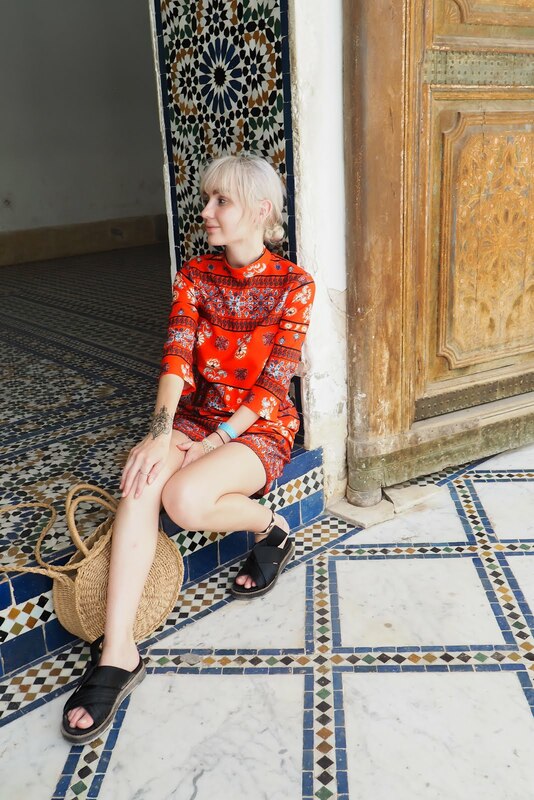 I love how the print is that bit darker than your typical floral style and when teamed with the leather shorts it definitely has a bit of an edge to it which is essential for me in outfits like this. I'm also wearing my little elephant bracelet that I picked up while I was in Rhodes with Karl a few weeks ago; isn't it adorable? Love the dress, it really suits you! I feel like because it is that little bit darker it's potentially more wearable than brighter florals, love it. Such a pretty outfit; love the sandals. I love this top, so pretty! 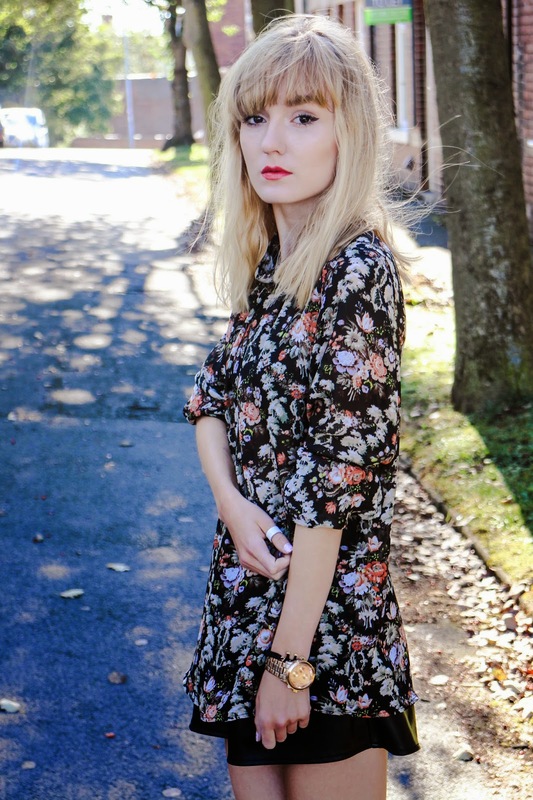 Great outfit, florals suit you! Lovely transitional outfit for autumn, those shoes are gorgeous! I LOVE winter florals & this blouse looks fab with the leather! I seriously love your style girl! Really cute outfit! Love the floral blouse! And the leather shorts. 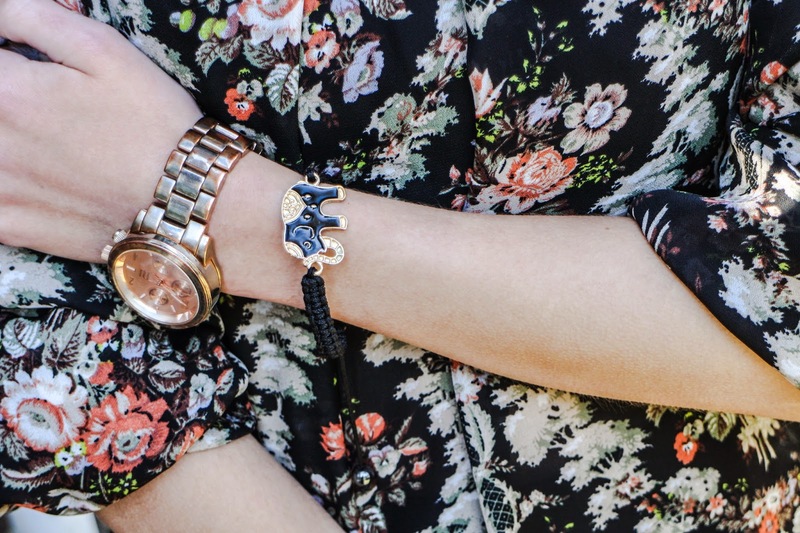 I'm loving the dark florals on you! Love the blouse! You look gorgeous! I love the shorts and floral top pair- so gorgeous! You look incredible, as ever! Absolutely adore that shirt. 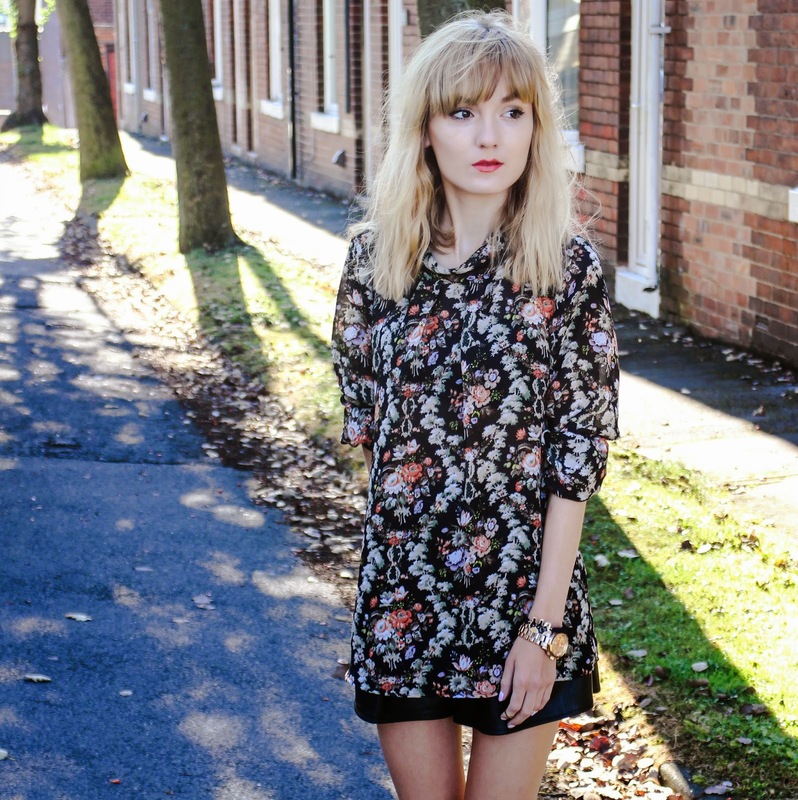 love the print on this shirt, dark florals are one my favourite autumn/winter trends! I love this floral design. Florals are one of my favourite prints and often the darker version can be a nice change from all the lighter versions I so often see. First of all you are absolutely gorgeous, if you aren't professionally modeling, you really need to go find an agent! Second such a cute look! I am loving your style! Your hair looks sooo good in these photos!